From Portland CC website. Report by the TD. Quad 45 (March 18): This month the time control at the Quad 45 was changed from G/45;d15 to G/45;inc15. As far as we can tell, this is the first ever regular rated PCC tournament that used increment. There were several ideas behind switching from delay to increment. One reason is that increment is more fair than delay. For example, with a fifteen second delay, a player who uses one second on a move will have the same amount of time remaining for the game as a player who uses fifteen seconds, which doesn’t seem right. Another reason is that increment helps mitigate time pressure a lot better than delay. A third reason was simply to give players a little bit more overall time for their games. The round times for rounds 2 and 3 were pushed back slightly to accommodate expanding the time control as well as to give players a little bit more time off in between the rounds and the rounds are now scheduled at 10am, 12:30pm, and 3pm. This month’s Quad 45 was run by Micah Smith with assistance from Danny Phipps at registration, who also played in the event. It got a great turnout of twenty-eight players, tied for the second most ever at the Quad 45. Things worked out nicely this time in that we were able to simply have seven quads and didn’t have to adjust anything to avoid family members from having to play against each other and didn’t have to figure out where to put a five to seven player Swiss. One interesting thing that did crop up is that Jimmy Dee and Alex Gee had the exact same rating and one of them was going to have to be in Quad 5 and the other in Quad 6. Jimmy said he didn’t care which quad he was in and Alex said wanted to be in Quad 6 so he could be in the same quad as his two friends he came to the tournament with so Jimmy was put in Quad 5 and Alex was put in Quad 6. There was a clear winner in all seven sections. LM Carl Haessler won Quad 1 with 2/3 and won a book. Aaryan Deshpande, a player from the Seattle area, won Quad 2 with a perfect 3-0. He won a book and was also eligible to receive a trophy as a scholastic player who won his section with three points but declined. James Bean gained around 50 rating points in Quad 2. James Tsai won his quad at the Quad 45 for the second straight month, this time winning Quad 3 with 2.5/3. Quad 3 happened to be made up of the four players in the field who were rated in the 1500’s. James won a book and gained around 45 rating points. After gaining around 200 rating points from the 1st Annual Neil Dale Memorial Open, Zoey Tang added around 55 additional points to her rating by winning Quad 4 with 2.5/3. Quad 4 happened to be made up of the four players in the field who were rated in the 1400’s. She also won a book and a small trophy as a scholastic player who won her section with 2.5. Robert Bowden won Quad 5 with 2.5/3. 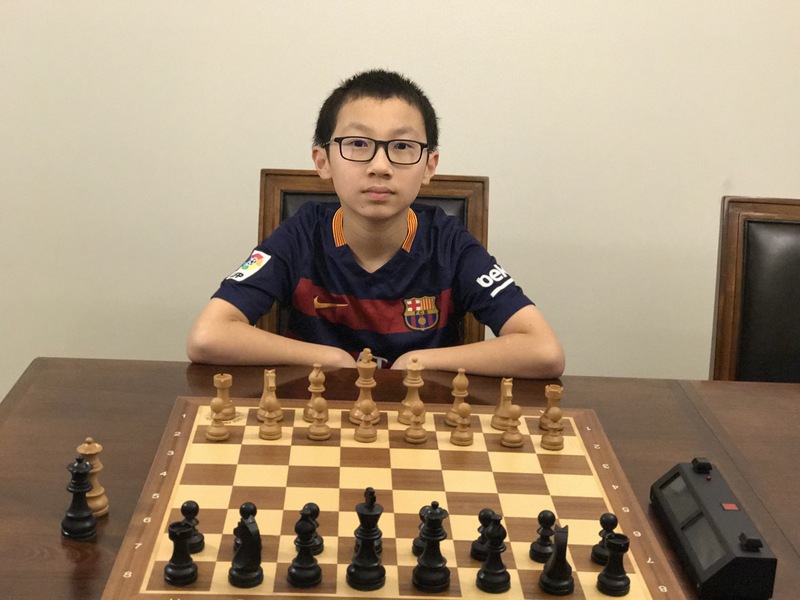 He won a book, a small trophy as a scholastic player who won his section with 2.5, gained around 40 rating points, and achieved a new peak rating. Thomas Rolfs won Quad 6 with a perfect 3-0 and won a book. Max Alberhasky, who was playing in this first US Chess rated tournament, won Quad 7 with a perfect 3-0 and won a book. Henry Westlund added around 150 points to his provisional rating in Quad 7. There were three other players playing in their first US Chess rated tournament, Alex Gee, Benjamin Saunders, and James Hatch. US Chess crosstables, CLICK HERE.